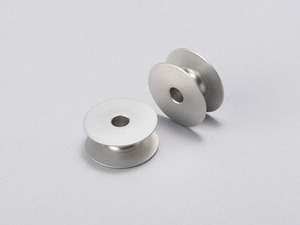 Original Juki Aluminum Bobbins For Juki TL-2200QVP Long Arm Quilting Machines. 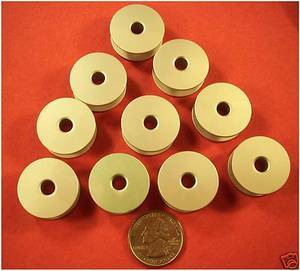 Large capacity M size bobbins. Juki M Size Bobbins (Part no. 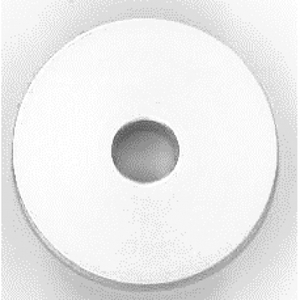 D9117141E00) M size bobbins for a double capacity hook made from solid aluminum. In this image, the generic bobbin has an inside core that is straight and not concave like the genuine bobbin affecting the way the thread winds. Having genuine bobbins ensures less issues with your tension and stitches creating a smoother quilting experience! I’ve purchased different items from Allbrands before and have always been satisfied.